Those hardened or cut off are NOT born in this condition, but have “grown hardened” over years of rebellion , their hearts or conscience becomes dull or hardened because of continual & unrepentant sin in their lives (1 Tim.4:2, Acts 28:24-27, Matt. 19:8, Rom.2:5, Heb 3:13). God places on us the responsibility to guard our hearts from hardening. Deut. 15:7, Prov.4:23, Prov. 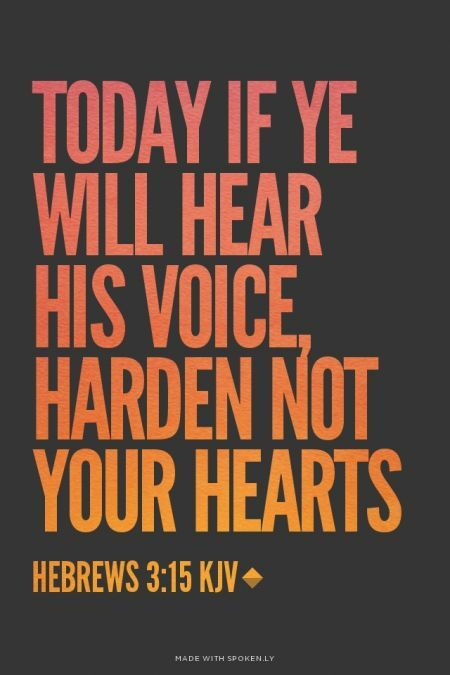 28: 14 We are warned NOT to harden our hearts. So what about the passages where God hardens peoples hearts? The main confusion people encounter in this regard has to do with Calvinist’s teachings that say passages which speak of God hardening human hearts prove God’s selective election & determinism from the foundation of the world. That God hardens the hearts of people not elected for heaven so they won’t receive salvation. But God is not saying one thing and doing another. God is Just! Deut. 32:4, Jeremiah 17:10, Job 34:12 , etc.